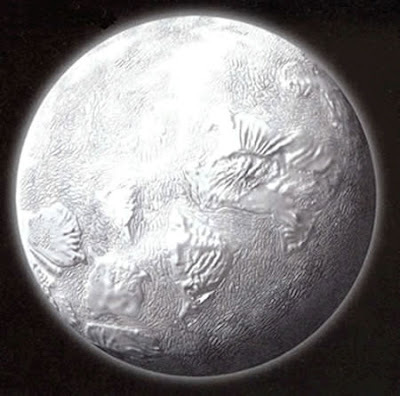 Gzhelian Equatorial Ice Box Climate?! Whoa. To think 50 million years later, the world would be gripped by the hottest climates ever in the Phanerozoic. Oh yes, #define Gzhelian. I don't have time for a real post today, so for your viewing pleasure some Spore Creator dinosaurs. California will no longer exist on the Russian map. Russia's north-western region of Nizhny Novgorod has decided to eliminate the tiny village of California due to the lack of inhabitants, Itar-Tass news agency reported on Thursday. The village was set up in the 19th century by a Russian landowner as a snub to the government for selling Alaska to the United States in 1867, Tass said. The once vibrant village has been in decline since the Soviet collapse, with the last of its residents leaving in 2000 to seek better lives elsewhere. It will now officially cease to exist as a geographical unit but it was unclear if its buildings, including a school, would also be destroyed. aw. I was wondering if it was a Soviet Fries Moment. Kinda funny that it was a snub over the sale of Alaska though! 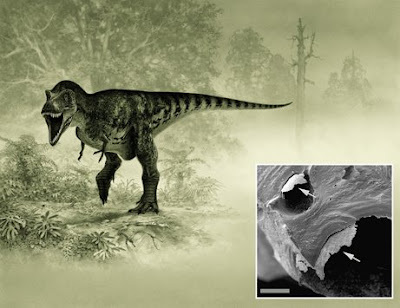 Dinosaur Fossils: Soft Tissue or Biofilm? What about the callogen tests then? National Geographic has more (and provided the pic). In the largest field trial of its kind in the United States, researchers have determined that the giant perennial grass Miscanthus x giganteus outperforms current biofuels sources – by a lot. Using Miscanthus as a feedstock for ethanol production in the U.S. could significantly reduce the acreage dedicated to biofuels while meeting government biofuels production goals, the researchers report. 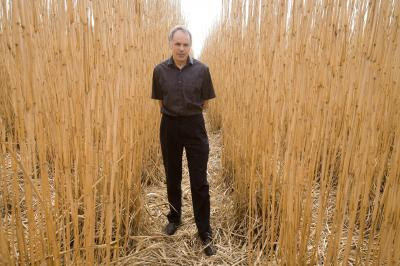 What we've found with Miscanthus is that the amount of biomass generated each year would allow us to produce about 2 1/2 times the amount of ethanol we can produce per acre of corn," said crop sciences professor Stephen P. Long, who led the study. Long is the deputy director of the BP-sponsored Energy Biosciences Institute, a multi-year, multi-institutional initiative aimed at finding low-carbon or carbon-neutral alternatives to petroleum-based fuels. Long is an affiliate of the U. of I. 's Institute for Genomic Biology. He also is the editor of Global Change Biology. Here's a bit on Miscanthus giganteus. Where is it native to? Answer: Japan. 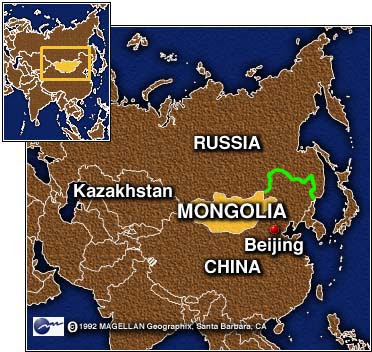 On July 21, Russia and China signed an agreement that finally settled the demarcation of their 4,300-kilometer (2,672-mile) border, the longest land frontier in the world. Russian Foreign Minister Sergei Lavrov and his Chinese counterpart Yang Jiechi signed the border agreement, which involves the handover by Russia of two river islands. See! That wasn't so bad! It didn't hurt too much. I think the Japanese and, maybe but doubtfully, the Europeans might want to talk too. The border agreement amounted to “shameless” surrender of Russia’s territory designed to appease China, opposition politician Eduard Limonov told the Ekho Moskvy Radio on July 21. Such an agreement should have been subject to approval in a referendum, said Limonov, who heads the radical National Bolshevik party, currently banned by the Russian authorities. doh. Some gnashing of teeth it seems anyways. very kewl. I would hope that we would make exploring the polar lakes and seas of Titan a major space exploration goal under the next administration. (*hint*hint* Noel). Balloons or boats are recommended. In a new study published in the online-open access journal PLoS ONE, Per Christiansen at the Zoological Museum in Copenhagen, Denmark, reports the finding that the evolution of skull and mandible shape in sabercats and modern cats were governed by different selective forces, and the two groups evolved very different adaptations to killing. The cat family comprises some of the most specialised carnivores in the history of mammals, all exclusively eating flesh. The cat family consists of two major sub-groups: the feline cats (including all modern species) and the sabertoothed cats (which are all extinct). Skeletons from the two groups look broadly similar, but their skulls are often remarkably different, and suggest that members of the two groups underwent radically different adaptations to predation during the course of evolution. 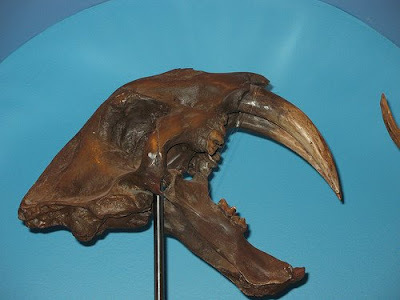 Sabertoothed cats have been a particularly difficult group to understand because their anatomical features are often radically different from those of modern cats. 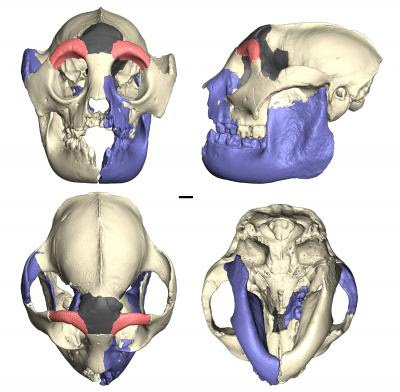 However, new techniques for anatomical comparison using digital methods have facilitated a more detailed comparison of the anatomy of the entire skull and mandible, and the new results add significantly to our understanding of the evolution of the cat family. Maybe Manabu can comment a little more. This seems right up his alley. The U.S Air Force and Boeing are preparing for the first flight test of an unmanned military space plane. Launch of the first mission of the USAF/Boeing X-37B space maneuvering vehicle is scheduled for liftoff from Cape Canaveral, Fla., in November on an Atlas V Evolved Expendable Launch Vehicle. A landing at Edwards Air Force Base, Calif., would follow. 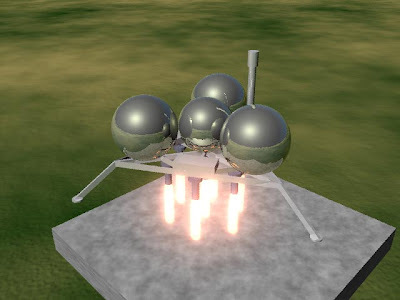 The mission concept has been under development for decades as a way to broaden U.S. military space access with a winged vehicle that could perform a multitude of missions before returning to Earth for a runway landing. The vehicle is about 27 feet long with a 15-foot wingspan. 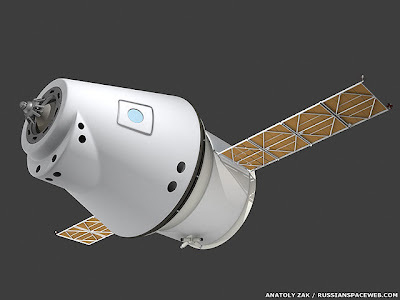 According to the Air Force, the objective of the flight will be "risk reduction, experimentation, and operational concept development for reusable space vehicle technologies." The mission will use an Atlas V Eastern Range launch slot that had originally been reserved for the Atlas V launch of NASA's Lunar Reconnaissance Orbiter and Lunar Crater Observation and Sensing Satellite. That mission will slip to February-March 2009. The reason? I bet its because if Obama gets elected the USAF won't get a chance to fly their pet. Ordovician Expansion Due to Cooler Earth? Sea-surface temperatures hovered at about 108 degrees Fahrenheit (42 degrees Celsius) near the beginning of the Ordovician, 490 million years ago, researchers found. The temperature fell dramatically to modern-day tropical climes by 470 million years ago, then cooled further during a brief glacial period to about 73 degrees Fahrenheit (23 degrees Celsius) around 443 million years ago. As oceans cooled to modern levels, life bloomed. At the beginning of the period, the sea averaged about 350 to 400 species, but those numbers soon spiked to more than 1,700, Barnes explained. "What we can show in this [research] is that this sudden expansion in the evolution of life occurred only over about five to ten million years. 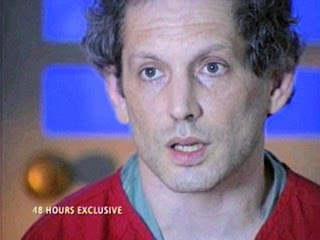 Thats really quite astonishing," Barnes said. Conodont teeth: Not just for biostratography anymore! Penn State researchers have used computed tomography (CT) technology to virtually glue newly-discovered skull fragments of a rare extinct lemur back into its partial skull, which was discovered over a century ago. Alan Walker, Evan Pugh Professor of Anthropology and Biology at Penn State, and Research Associate in Anthropology Timothy Ryan, led the research. The different fragments of this lemur's skull are separated by thousands of miles, with the partial skull in Vienna and the pieces of frontal bone in the United States. The result of the digital manipulation is a nearly complete skull of Hadropithecus stenognathus, which is one of only two known skulls for this species. 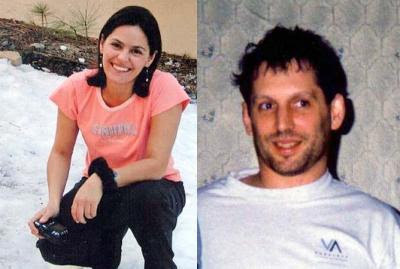 An article describing the work will be published in the early edition of the Proceedings of the National Academy of Sciences during the week of 28 July through 1 August 2008. The digitally reunited remains offered new insights about Hadropithecus. For the first time, its cranial capacity (115 ml.) has been measured accurately. Because the excavators also uncovered many limb and trunk bones of the same individual lemur, the team could estimate its body size reliably. Surprinsingly, Hadropithecus was as big as a large male baboon and had a relative brain size as large as that of some large monkeys. In fact, the extinct lemur had one of the largest brains relative to its body size of any known prosimian (a group comprised of lorises, lemurs, bushbabies, and other similar animals). The skull shape of Hadropithecus is unusual. Its skull vault sports a large, bony crest -- similar to that seen on gorillas -- for the attachment of powerful chewing muscles. With big chewing muscles, a deep jaw, and a flat face, the skull of Hadropithecus seems mechanically suited to eating hard foods, such as seeds or nuts. This idea is supported by microwear studies showing that the enamel of the Hadropithecus teeth is heavily pitted and scratched. However, while other animals that feed on hard objects have thick dental enamel and interwoven enamel prisms that prevent tooth breakage, Hadropithecus does not. Analysis of nitrogen and carbon isotopes in the bones of other specimens of Hadropithecus suggests a diet high in tough, fibrous succulents, tubers, or grasses -- not nuts or seeds. The team is investigating whether grit clinging to such plants in Madagascar would create the observed microwear pattern. That skull is just plain funky. It does not look much like a lemur skull at all. The remains of several unknown insect species which became extinct long before dinosaurs stopped roaming the earth have been discovered in pieces of 110-million-year-old amber found in Spain, researchers said Thursday. 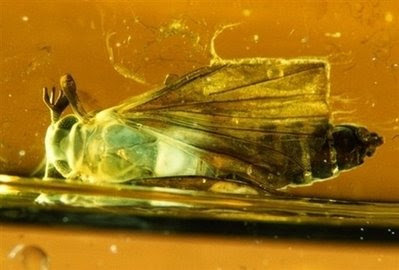 Palaeontologist Enrique Penalver said the amber discovered in the El Soplao cave in the northern province of Cantabria was in "exceptional" condition. "The conservation is incredible. You can study the details," he told a news conference in Santander according to the Europea Press agency. Several types of arachnids, as well spider webs and plant remains, were found fossilised in the amber discovered at the site, added Penalver, a researcher with the science ministry's Geology and Mine Institute. Anyone able to identify that bug up there? Anyone have more details? The paper contends that the dinosaurs developed most of their fundamental diversity back at the end of the Triassic and early Jurassic. This is important because there was a major revision of the terrestrial ecosystems during the Cretaceous. This was called the Cretaceous Terrestrial Revolution (KTR) and it brought about our modern ecosystems by and large. The root of it, ha! pun!, was that the angiosperms - ie flowering plants - evolved. Social insects and other critters radiated as well. The traditional thought has been that the dinosaurs were participating in this: there seemed to be a lot more diversity in the dinos during that time. The new paper questions this and actually states that the dinosaur diversity was more to do with the fact that there are far more readily available Cretaceous fossil beds. This created a sampling bias. It gave the impression that the dinosaurs were diversifying. Or so sayeth the paper. It looks like an impressive bit of work. Sampling bias has been something I have had concerns about due to the fact that my main paleo interest has been mass extinctions. The severity of the extinctions can only be detected by what fossils are found before and after the events. If there are sampling biases simply because there are too few locales it can cause incorrect impressions of the event. More than one author has suggested that as more temporally contiguous fossil beds are found for certain mass extinctions we will need to do some major revisions to the body count. The main ones of concern here are the Permian (for the terrestrial environment) and Late Triassic. One concern that I have is about my favourite archosaurs, the ceratopsians seemed to be diversifying alot (!!!) at the end of the Cretaceous. So too it seemed that the hadrosaurs were as well. However, this may have been a localized phenomenon in Laurasia. The ceratopsians of unusual size weren't out and about elsewhere. 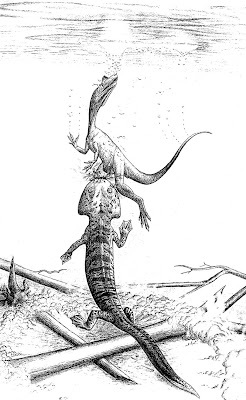 Anyways, one of the authors, Dave Hone, has a blog, Archosaur Musings. It's worth a read. Yet Another Bit of Russian Vaporware? Sooo...this is nothing more than a proposal. It hasn't gotten the nod for funding at all. Sounds exactly like the Kliper that was rejected before. Combining laser beams can boost power at the target far above that produced by a single laser. Incoherent beam combining achieves propagation efficiencies of greater than 90%, while avoiding the complexities of coherent or spectral beam combining. Incoherently combining the beams from multiple high-power fiber lasers has a number of advantages over other beam-combining methods, and can result in compact, robust, low-maintenance and long-lifetime high-energy laser systems. In initial experiments, we have combined the beams from four lasers with a beam director consisting of individually controlled steering mirrors. We achieved propagation efficiencies greater than 90% at a kilometer in range, with a total power of 2.8 kW on a target with a 10 cm radius. German Chancellor Angela Merkel has backed an agreement to bring Ukraine closer to the European Union, and renewed her pledge that the former Soviet republic will some day join NATO. Ms. Merkel spoke Monday in the Ukrainian capital, Kyiv, alongside Ukrainian President Viktor Yushchenko. Both leaders praised the so-called "association agreement" on EU-Ukrainian ties. But the German leader again said it will not guarantee Ukraine full EU membership. Chancellor Merkel also said Germany and other NATO countries will work with the Kyiv government on a plan to guide the country toward membership in the military alliance. What does an association agreement actually mean in terms of EU status really? For millennia, humans and viruses have been locked in an evolutionary back-and-forth -- one changes to outsmart the other, prompting the second to change and outsmart the first. With retroviruses, which work by inserting themselves into their host's DNA, the evidence remains in our genes. Last year, researchers at Rockefeller University and the Aaron Diamond AIDS Research Center brought an ancient retrovirus back to life and showed it could reproduce and infect human cells. Now, the same scientists have looked at the human side of the story and found evidence that our ancestors fought back against that virus with a defense mechanism our bodies still use today. "This is the first time that we've been able to take an ancient retrovirus and analyze how it interacts with host defense mechanisms in the laboratory in the present day," says Paul Bieniasz, who is an associate professor and head of the Laboratory of Retrovirology at Rockefeller and a scientist at the Aaron Diamond AIDS Research Center. Bieniasz and graduate student Youngnam Lee took their resurrected virus, called HERV-K, tested its strength against molecules involved in human antiviral defense and published their results in the Journal of Virology (online ahead of print, June 18). How did they bring back the HERV? A composite of the pseudogenes? Professors Brian Toon and Alan Robock of the University of Colorado and Rutgers University, recently presented their research on the potential climatic effects of a nuclear conflict to congressional staffers and interested parties. The event, sponsored by the American Association for the Advancement of Science (AAAS), examined the environmental impact of a hypothetical nuclear war between India and Pakistan. Toon prefaced his lecture, saying that his and Robock's research is a continuation of nuclear winter research from the 1980s. The term nuclear winter refers to significant widespread climate cooling caused by massive quantities of aerosol particles thrust into the atmosphere by the use of nuclear weapons. Toon, and later Robock, emphasized that the concept of nuclear winter has not been discredited, as some believe. operationally deployed strategic warheads to between 1,700 and 2,200 by the end of 2012 through the Strategic Offensive Reductions Treaty (SORT). While that number is heartening, there remain an estimated 27,000 nuclear weapons worldwide. Moreover, 40 countries are believed to have fissionable material and, according to Toon, 200,000 nuclear weapons could be made out of what is "sitting around." After showing images from Hiroshima, Toon explained how "one nuclear explosion can cause orders of magnitude more fatalities than previous wars." According to Toon's research, the advent of megacities, and developments in nuclear technology have dramatically raised potential fatality numbers even when far fewer weapons are used. Toon estimates that 50, 15 kiloton nuclear weapons, strategically used against the U.S., could kill approximately 4 million. A nuclear war between India and Pakistan could result in more than 20 million deaths. The density of flammable material in megacities, and the strategic value of striking those cities in a nuclear conflict, means that huge amounts of aerosol particles would be introduced into the atmosphere in even a regional war. For example, an India-Pakistan nuclear conflict could produce 7 million tons of smoke and dramatically reduce the average global temperature. In a global conflict where the entire U.S. and Russian SORT arsenal was used, 180 million tons of smoke could plunge average global temperatures to ice age levels. Robock followed with a discussion on the technical details of nuclear-induced climate change. Advances in computing technology have allowed for more sophisticated climate models which have reaffirmed the threat of nuclear winter. Toon and Robock have used the NASA GISS ModelE atmosphere-ocean general circulation model to test various nuclear scenarios. Robock explained that a nuclear war would cause extraordinary damage to the ozone layer, and affect all latitudes. Precipitation rates and growing seasons would also be change. This comes out of an email. Please take with a grain of salt. Or a shaker or two. The reason that I say that is because people have warped the climate science wrt 'nuclear winter' a lot. One of the big arguments for the nuclear winter scenario is the impact that volcanic eruptions and the climatic effects that they have had. I am dubious, especially since the presenters above resorting to displaying Hiroshima and Nagasaki pictures...something that's a blatant appeal to the emotional side rather than walking through the numbers. Blatant emotional appeals immediately set my guard up. n studying how animals change size as they evolve, biologists have unearthed several interesting patterns. For instance, most species are small, but the largest members of a taxonomic group -- such as the great white shark, the Komodo dragon, or the African elephant – are often thousands or millions of times bigger than the typical species. Now for the first time two SFI researchers explain these patterns within an elegant statistical framework. "The agreement between our model and real-world data is surprisingly close," says SFI Postdoctoral Fellow Aaron Clauset, who, along with SFI Professor Douglas Erwin, presented the findings in a July 18 Science paper. In Clauset and Erwin's model, descendant species are close in size to their ancestors, but with some amount of random variation. But, this variation is constrained, first by a hard limit on how small a species can become, due to physiological constraints, and second by a soft limit on how large a species can become before becoming extinct. After millions of virtual years of new species evolving and old species becoming extinct, the model reaches an equilibrium in which the tendency of species to grow larger is offset by their tendency to become extinct more quickly. 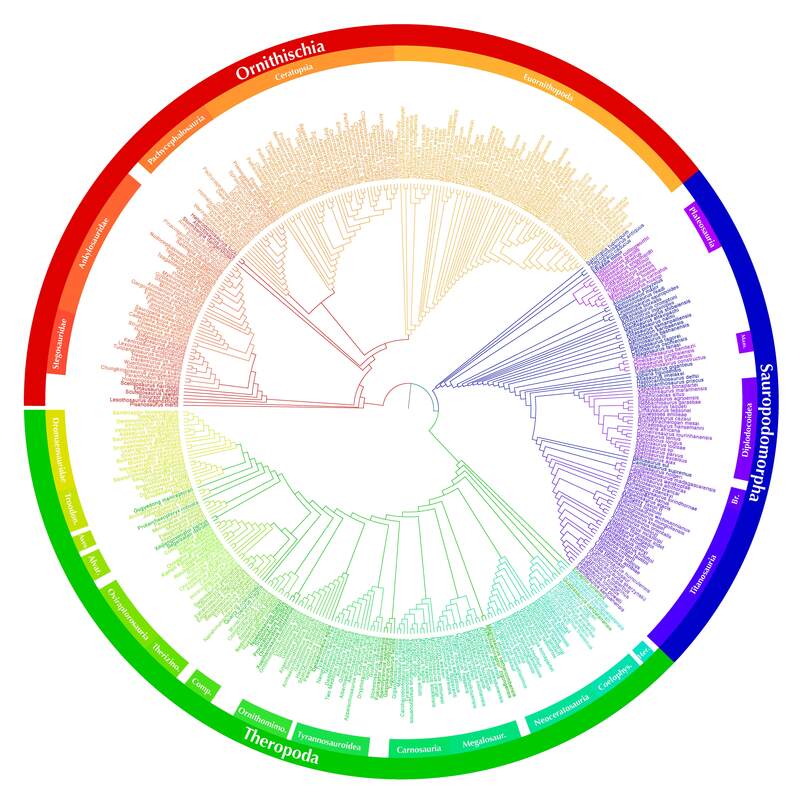 By using fossil data on extinct mammals from up to 60 million years ago to specify the form of the model, the researchers showed that this evolutionary process accurately reproduces the diversity of 4,000 mammal species from the last 50,000 years. Douglas Erwin is the same gentleman that wrote Extinction and has done so much with the Permian Extinction. 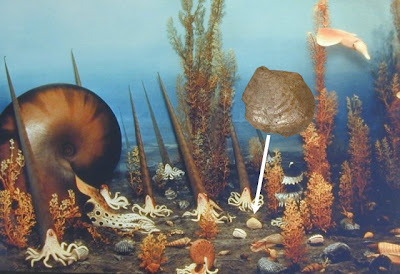 Turonian Mass Extinction Due to Under Sea Volcanoes? A surge of undersea volcanic activity about 93 million years ago sapped the oceans of oxygen, triggering a mass extinction of marine life, a new study finds. The catastrophic event buried a thick mat of organic matter—from large clams to single-celled algae—on the seafloor, which today is a major source of oil. The new findings allow scientists for the first time to directly pinpoint undersea magmatism—the formation of rock from cooling magma—in the dino-era carnage. The research also opens a window onto the way Earth responds to large inputs of greenhouse gases, experts say. At the time of the mass die-off, Earth's climate was warm and muggy, and ocean circulation was sluggish, according to study co-author Steven Turgeon, an earth scientist at the University of Alberta in Edmonton, Canada. Palm trees grew on the North Slope of Alaska and carbon dioxide levels were 3 to 12 times higher than today's concentrations. The carbon dioxide spike was mostly a result of increased volcanic activity linked to Earth's rapidly shifting tectonic plates, Turgeon said. "And now we have this magmatic pulse that happened at that time—a huge one by what we can tell—and that's what caused this chain reaction to drive the oxygen from the ocean and cause this mass extinction," he said. Turgeon and colleague Robert Creaser report their findings in tomorrow's issue of the journal Nature. The Turonian Mass Extinction was a relatively minor affair and was, iirc, mostly restricted to the marine sphere. Platyterygius was probably the most famous victim. The opposition in Ukraine’s parliament has failed to oust the government of Prime Minister Yulia Tymoshenko. Only 174 deputies in the 450-seat chamber voted in favor of a no-confidence motion against her on July 11, far short of the 226 needed. Summer vacation started for parliament on the same day. This means that Tymoshenko stays until at least September, when parliament will reconvene. 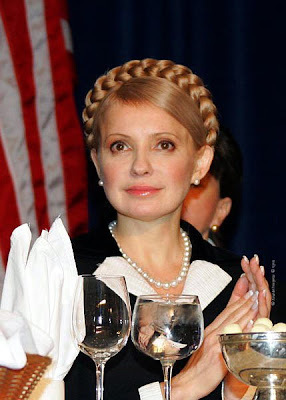 This was a victory against the odds for Tymoshenko. She no longer has the support of a majority in parliament after two deputies left the coalition of the Yulia Tymoshenko Bloc (BYT) and President Viktor Yushchenko’s Our Ukraine—People’s Self-Defense bloc (NUNS) (see EDM, June 25). Nor does she enjoy the backing of Yushchenko or those ministers who represent NUNS in her government. Yushchenko is unhappy with her economic policy, and he apparently views her as a probable rival in a presidential election campaign that should start in 2009. Nevertheless, the opposition turned out to be even weaker than the Tymoshenko government. Whoa. I thought her falling out with Yushchenko would ahve cost her the PMship. She obvious has been working behind the scenes to prevent her own fall. I'm impressed. On July 8 in Prague the United States and the Czech Republic signed an agreement on a U.S. radar system on the Czech Republic’s territory as part of the antiballistic missile shield. On July 10 Russia’s oil pipeline monopoly Transneft announced that oil deliveries to the Czech Republic were being cut from the contracted volume of 500,000 tons down to 300,000 tons for the month of July. Transneft did not mention the reasons for this deep cut and did not specify whether supplies would fully resume after July. My what interesting timing you have, Dadushka Russia! Research published in Nature Genetics by a team of international scientists including the department of zoology at the University of Melbourne, Australia, has established an identical mechanism of genetic imprinting, a process involved in marsupial and human fetal development, which evolved 150 million years ago. "This paper shows that we share a common genetic imprinting mechanism which has been active for about 150 million years despite the differences in reproductive strategies between marsupials and humans," said Professor Geoffrey Shaw of the Department of Zoology at the University of Melbourne, a coauthor on the paper. Professor Marilyn Renfree who lead the University of Melbourne research team says marsupials give birth to very small young that develop mainly within the pouch while humans have more developed young at birth that undergo a large period of growth in the uterus. "Our team provided vital samples and genetic resources from marsupials to enable this study and contributed our world-leading expertise on marsupial biology and genomics to the interpretation of the results," Professor Renfree said. Genomic imprinting is a mechanism that regulates gene expression in the developing fetus and plays a major role in regulating its growth. "We all carry two copies of every gene in our DNA, one inherited from our mother and one from our father. So for each gene we have a 'back-up'. Normally, both copies of the gene are used for development, but in some special cases the gene from either our mother or father is switched off, so we only have one active copy. This phenomenon is known as genomic imprinting," explained Dr Andrew Pask also from the Department of Zoology. "Because there is no back up copy, when errors occur in this process, it results in many human genetic diseases mainly affecting growth and brain function." Pask explains that a key gene regulating fetal growth is the Insulin-like-growth-factor-2 or IGF2 which is an imprinted gene. "We inherit a single working copy of this gene from our fathers, while the copy we inherit from our mothers is switched off. The switch for this gene is controlled by another gene known as H19. The H19 gene is unusual gene that makes a microRNA and not a protein." "MicroRNA genes have been sought in marsupials for years, and now for the first time one has been discovered," Dr Pask said. Pask explains that the microRNA structure is virtually identical to that of mice and humans, but there was no evidence of this gene or a similar microRNA in the more distantly related platypus. It seems that Kuehneosaurs used their rib 'wings' more as parachutes than for gliding. Would this be to escape flying things that were in the trees too? Like, say, pterosaurs? Or perhaps the analysis done needs to be used on the flying lizards of today to see if they get similar results or different. They would need to restrict their modeling to the exact same methodology as they used here. Then compare what they got to what the flying lizards do today. What all did they use other than the skull for the description of the species? ie how complete was the skeleton? I prefer the later ceratopsians, but this one has a special place because it almost shares a name with my daughter, Avrora. It almost looks like a painting its so beautiful. Two years ago, Raytheon performed a ground test in which two 60 mm mortar rounds were destroyed at 500 m range using an off-the-shelf commercial fiber laser - a 20 kW unit of the type used for welding and other industrial processes. 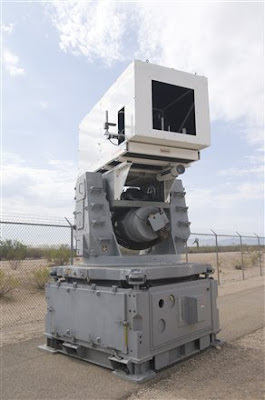 This has now led to the prototype Laser Air Defense System (LADS), combining a 50 kW fiber laser and a beam director attached to a Phalanx gun mount. 50 kw is half the energy that has traditionally been claimed necessary to user lasers in a military role. This laser is a fiber laser, which means, iirc, it concentrates a number of much smaller diode lasers into a single beam using fiber optics. I have to wonder about the beam quality, but it is an interesting idea and seems to work. If that is the entire laser assembly in the phalanx mount pictured above then we're just about ready to place these on ships and dedicated AA vehicles. The goal would be to reduce this down so its a secondary system on all tanks or IFVs or whatnot. Britain's Taranis unmanned combat air vehicle demonstrator will fly in 2010, with the French-led Neuron to follow in 2011. Both will use the same model of Rolls-Royce Adour engine - though ironically, propulsion is one area that is underfunded by both nations in terms of future development. Europe will conceivably be in a position to begin fielding operational UCAVs toward the end of the next decade, but both programs already build on years of predominantly classified research and development. 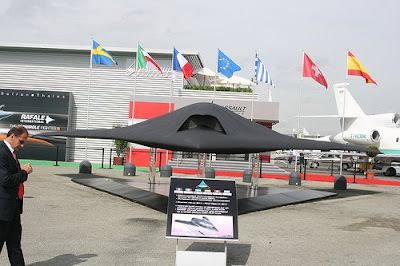 The U.K. and France have been instrumental in pushing UCAV technology development in Europe; in Britain, through the BAE Systems-led Taranis project, while France has taken the lead on the multicountry Neuron UCAV demonstrator. Even with defense budget pressures in both countries, industry officials are confident their efforts will proceed. The Europeans are pushing ahead with their programs and hope to play catch-up to the US. With the USN starting to get cold feet about its UCAVs (*sighs*) and the USAF unable to conduct an acquisition program without frakking it up (*oy*), it's entirely possible that the Europeans will actually catch up. Note, the Neuron, Taranis, X-45, and even the Russian Skat all are pretty similar in form superficially. Trying to figure out why youtube is having problems with this video. It keeps choking on it. A Spanish colony until 1890, the island fell under US control, becoming a commonwealth in the fifties of the last century. One hundred and ten years after shifting from Spanish to American rule, some things indicate that something is changing in the Caribbean island. And that this something is not playing in favor of independence, but quite the contrary. As Puerto Rico was the only colony of the Spanish Empire that did not proclaim its independence, one would tend to think that this would be the next chapter in its history. But this is not the case: Puerto Rico seems to march toward statehood. CNN broadcast a survey revealing that 60 percent of voters would prefer statehood for Puerto Rico, a percentage that the local papers –The Voice of Puerto Rico and The New Day — reduced to 57 percent. But this is a historical first: it is possible that for the first time, Puerto Rico could become the 51st state in the Union. If since the ‘80s the votes that advocated statehood never rose above 46 percent, now they have grown between 11 and 14 percentage points. Luis Fortuño (candidate for the PNP and supporter of statehood) has a support that surveys have estimated at around 64 percent. As a member of the Spanish-speaking community, one would tend to think that Puerto Rico has a pending date with history, and that it should move toward independence. 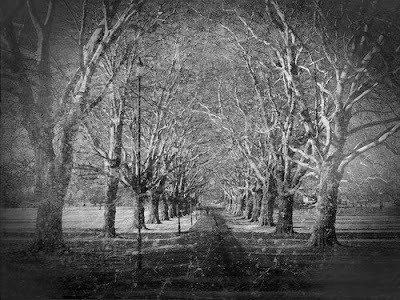 But historical processes do not obey the wishes of those who write about them; they simply present the outcome of history, leaving us to adapt to it. Everything suggests that Puerto Rico will become a full-fledged State of the Union. And perhaps this is not the worst thing that could happen. 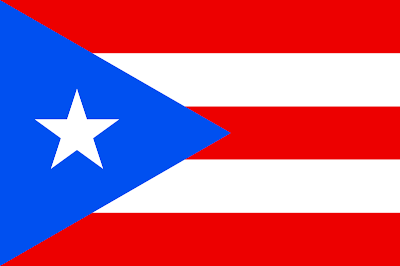 When we think of the unusual association of Puerto Rico with the destiny of the Union (as a commonwealth), that it has been freed from suffering dictatorships like those of Duvalier, Batista, Fidel Castro, Somoza, and others, one sees that the citizens of the island have not had it half bad. If we add to that list of names characters like Pinochet, Videla, Stroessner, Fujimori, Perón, Chávez and many others, it seems even harder to find arguments against Statehood. Science 4 July 2008: 97-100. 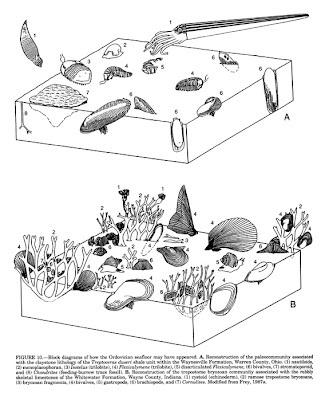 A compilation of more than 3 million specimens of fossil marine invertebrates shows that their diversity increased more in the Jurassic and less since then than an earlier study implied. The data are also interesting, Alroy said, because they document that there have been only three truly major mass extinctions in the fossil record. Soooo....can anyone get me the paper? I don't seem to have access to Science. Both Obama and McCain voted for telecom immunity & warrantless wire tapping bill. I cannot believe that Obama did that. McCain, I can believe since he's sucking up to Shrubbish to win over the Concons, but Congress and the Senate are by and large in Democratic hands. Small update: Obama originally said he'd filibuster anything like this. Then he didn't. No flipflop there. With Scott's help, these were made for presentation purposes. I can't give too many details due to restrictions as yet, but we will rather soon. There's a second video on the gallery page, but youtube hasn't finished chewing on it yet for some reason. Wilkins Ice Shelf Holding by Last "Thread"
The Wilkins Ice Shelf is experiencing further disintegration that is threatening the collapse of the ice bridge connecting the shelf to Charcot Island. Since the connection to the island in the image centre helps to stabilise the ice shelf, it is likely the break-up of the bridge will put the remainder of the ice shelf at risk. This animation, comprised of images acquired by Envisat's Advanced Synthetic Aperture Radar (ASAR) between 30 May and 9 July 2008, shows the break-up event which began on the east (right) rather than the on west (left) like the previous event that occurred last month. By 8 July, a fracture that could open the ice bridge was visible. 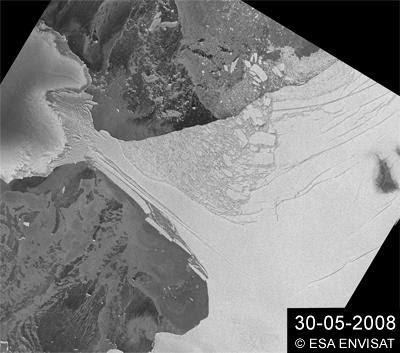 According to the image acquired on 7 July 2008, Dr Matthias Braun from the Center for Remote Sensing of Land Surfaces at Bonn University estimates the area lost on the Wilkins Ice Shelf during this break-up event is about 1350 km² with a rough estimate of 500 to 700 km² in addition being lost if the bridge to Charcot Island collapses. This break-up is puzzling to scientists because it has occurred in the Southern Hemispheric winter and does not have characteristics similar to two earlier events that occurred in 2008, which were comparable to the break-up of the Larsen-A and -B ice shelves. "The scale of rifting in the newly-removed areas seems larger, and the pieces are moving out as large bergs and not toppled, finely-divided ice melange," said Ted Scambos from the National Snow and Ice Data Center who uses ASAR images to track the area. "The persistently low sea ice cover in the area and data from some interesting sources, electronic seal hats [caps worn by seals that provide temperature, depth and position data] seems to suggest that warm water beneath the halocline may be reaching the underside of the Wilkins Ice Shelf and thinning it rapidly - and perhaps reaching the surface, or at least mixing with surface waters." Prof. David Vaughan of the British Antarctic Survey (BAS) said: "Wilkins Ice Shelf is the most recent in a long, and growing, list of ice shelves on the Antarctic Peninsula that are responding to the rapid warming that has occurred in this area over the last fifty years. Just adding a little more info. There's a "nice" little video in the title link. Nice is not the word. More like disturbing. Closer study of a number of fossilized bird feathers by Yale PhD student Jakob Vinther revealed that organic imprints in the fossils — previously thought to be carbon traces from bacteria — are fossilized melanosomes, the organelles that contain melanin pigment. "Birds frequently have spectacularly colored plumage which are often used in camouflage and courtship display," said Vinther. "Feather melanin is responsible for rusty-red to jet-black colors and a regular ordering of melanin even produces glossy iridescence. Understanding these organic remains in fossil feathers also demonstrates that melanin can resist decay for millions of years." Working with Yale paleontologist Derek E. G. Briggs and Yale ornithologist Richard O. Prum, Vinther analyzed a striped feather found in 100 million-year-old rocks from the Lower Cretaceous Period in Brazil. The team used a scanning electron microscope to show that dark bands of the feather preserved the arrangement of the pigment-bearing structures as a carbon residue — organized much as the structures are in a modern feather. The light bands showed only rock surface. In another fossil of a bird from the Eocene Epoch — 55 million years ago — in Denmark there were similar traces in the feathers surrounding the skull. That fossil also preserved an organic imprint of the eye and showed structures similar to the melanosomes found in eyes of modern birds. "Many other organic remains will presumably prove to be composed of melanin," said Vinther. He expects that fur of ancient mammals and skin from dinosaurs preserved as organic imprints will likely be the remains of the melanin. Talk about a major breakthrough about answering the question of coloration. Just when I was reading the comment of "we'll never know what color they were" in a book, this goes and happens. WOW! Dassault has just completed the first fully autonomous flight of its AVE-D experimental stealthy unmanned aircraft - almost eight years after its first flight. The June 30 flight involved a completely automated sequence - the subscale UCAV technology demonstrator leaving its parking spot, taking off, maneuvering, landing and returning to its parking spot autonomously - all under the watchful eye of its French customer, the DGA defense procurement agency. Whether people like it or not (and the pilots in the US military really don't), the future of combat aviation is in the unmanned realm. The fact of the matter is that manned fighters have grown too expensive to do anything other than buy a handful. A large part of this is due to the way we purchase the weapon systems, but there's more to it than that. Furthermore, they have to operate in combat - and political ! - arenas that are unfriendly to a manned presence: loss of pilots is simply not acceptable anymore. If you think about it, too, then you realize by making combat not about the loss of people but rather a measure of economical fortitude alone - goods instead of labor - it becomes whoever can spend the most on the muscle than anything else. This plays to our strength. It would play to the Europeans too if they could get their militaries merged. Something that is now in doubt with the Irish debacle. Hans leads the cops to Nina's body. That really settles that. Geek defense my @$$. The /. crowd is just going to have to accept that one of their tribe happens to be a schmuck and then some. I really feel for the kids. It's going to be horrible for them, even more so than it was. We had a very busy weekend and from here on out I am going to be going nuts with being overloaded. I'll get stuff up here though, so no worries. This weekend we kicked it off with Avrora and Lyuda going to WallE. This was Avrora's second time seeing it. She loved it so much when she and I went last weekend that she wanted to see it again, but with Mommy this time. I am disappointed that Lyuda didn't like it that much, but I (and Avrora) thought it was brilliant. I have to wonder if WallE will fly as well in Russia et al as it is here though based on the comments my wife has made. On the 4th, the family went to watch the Berkeley fireworks...only to have Berkeley delay it just long enough for the fog and low clouds to roll in to completely obscure the higher bursts. IDK why San Francisco even bothers because 90% of the time their display gets fogged out too such that you get some colored clouds rather than fireworks bursts. On Saturday, we went to my uncle's again. He quite the accomplished chef and we had Indian food this time. It was great to get caught up again and they showered Avrora, unexpectedly, with gifts. Bob and Lynne are great people. Bruce and his kids are always fun. I've not been a family person, as in participated in extended family things, for a long, long time and with the last year and change things have been rather different for me. On Sunday, Lyuda had her birthday. She passed her big 3-0. We went to the Cliff House Restaurant. The food was pretty good and the check was not nearly as steep as we expected. We also had an ice cream cake and I played a prank on Lyuda by putting in the relighting candles. There were so many and they burned SO fast that it was nuts. We almost thought it'd start a fire in our place. That leaves out the LLC/GLXP stuff, Lyuda's class work, and other stuff, but it touches on a lot. It was a pretty good weekend. Via the much underread Aussie paleo blog, Dracovenator. Go read! The main website will be updated later this week. Ditto for the blog. There are constraints though. *shakes head* Anyways, thanx to Scott for the quick render help, really quick render help! He's a mensch. There will be videos as well. This week's Aviation Week & Space Technology zeros in on Senators John McCain and Barack Obama and where they stand on aviation, aerospace and defense issues. 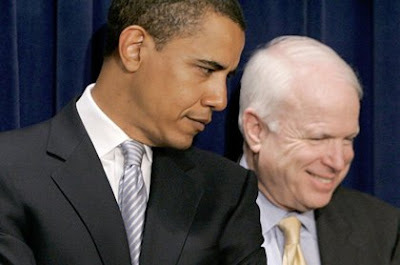 As the lead article by Editor-in-Chief Anthony L. Velocci Jr. states, "For many aerospace and aviation interests, McCain is a known but feared quantity, while Obama is a blank slate." AW&ST's discussions with political advisers and reviews of public records provide the backdrop for a thorough analysis of the aviation, aerospace and defense industry under the next president. The report examines key industry challenges the next U.S. president will face, including America's role in future space exploration, defense modernization, and a crumbling civil aviation infrastructure; these issues will be exacerbated by a huge national debt and a war on two fronts. Aviation Week did pretty much a whole issue dedicated to the question. I don't have it, but its worth noting for those that want to run to the library. As far as space exploration goes, McCain states he wants to stay the course. As far as Obama is concerned, he wants to ax the manned portions of what's planned. Alas. As far as aerospace cotnracting is concerned, AvWeek says it best as far as McCain is concerned: feared, but known. Obama on the other hand is a complete unknown. I suspect that he'll come through with an ax though to pay for his other programs. Interesting. The Jurassic might have had less diversity than the Triassic which was recovering from the PT Extinction (and took a long time to do so). I have a feeling that how you sample this greatly influences the results and I am sure that there are some nontrivial bits of clean up that need to happen as far as naming in the database. I've encountered this allegation a nontrivial number of times while reading on mass extinctions and the Sepkoski database. By all accounts from Khanty-Mansiisk, however, Solana and the other EU leaders shied away from any substantive discussion of Abkhazia and the other post-Soviet conflicts. They also failed to raise the issue of transforming Russia’s “peace-keeping” operation to conform to international standards. Solana and several other top figures had given those informal assurances to Georgia on the understanding that Tbilisi would in turn refrain from declaring Russia’s “peace-keeping” troops illegal. These EU leaders’ authority in that regard will not be the same in Georgia after Khanty-Mansiisk. According to Russian Minister of Foreign Affairs Sergei Lavrov, one item on the summit agenda was the “five conflicts: Kosovo, Abkhazia, South Ossetia, Karabakh, and Transnistria” [in that order] (RIA-Novosti, June 27). If so, Moscow succeeded for the first time to link the conflict in Kosovo with the four post-Soviet conflicts at this summit. Initial post-summit briefings in Brussels seem to confirm that the five conflicts were discussed as a package at Khanty-Mansiisk. Linking conflict resolution in the post-Soviet territories to that in Kosovo, so as to complicate all solutions even further, became Russia’s policy during the final stages of negotiations leading to Kosovo’s independence. It seems to have re-emerged in Khanty-Mansiisk in a modified form. Even in geology, it's not often a date gets revised by 500 million years. But University of Florida geologists say they have found strong evidence that a half-dozen major basins in India were formed a billion or more years ago, making them at least 500 million years older than commonly thought. The findings appear to remove one of the major obstacles to the Snowball Earth theory that a frozen Earth was once entirely covered in snow and ice – and might even lend some weight to a controversial claim that complex life originated hundreds of million years earlier than most scientists currently believe. 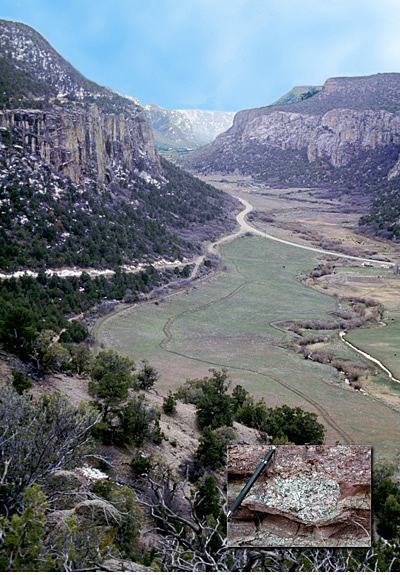 "In modern geology, to revise the age of basins like this by 500 million years is pretty unique," says Joe Meert, a UF associate professor of geology. Agreed Abhijit Basu, a professor of geological studies at Indiana University: "The required revision is enormous – 500 million years or about 11 percent of total Earth history." Meert is one of eight authors of a paper on the research that recently appeared in the online edition of the journal Precambrian Research. The Purana basins – which include the subject of the study, the Vindhyan basin – are located south of New Delhi in the northern and central regions of India. They are slight, mostly flat depressions in the Earth's crust that span thousands of square miles. For decades, Meert said, most geologists have believed the basins formed 500 million to 700 million years ago when the Earth's crust stretched, thinned and then subsided. Meert said that date may have originated in early radiometric dating of sediment from the basin. Radiometric dating involves estimating age based on the decay or radioactive elements. Additionally, he said, apparent fossils retrieved from the basin seemed to have originated between 500 million and 700 million years ago. The researchers were working on an unrelated project and had no intention of re-examining the basins' age. But then a UF graduate student, Laura Gregory, dated a kimberlite retrieved from the Vindhyan basin to about 1,073 million years ago. A kimberlite is a volcanic rock that contains diamonds. Gregory also used paleomagnetism, a technique that estimates where rocks were formed by using the orientation of their magnetic minerals. Curious about whether the kimberlite results would apply more generally to the region, fellow UF graduate student Shawn Malone compared the kimberlite's orientation to other rocks from the Vindhyan basin. To his surprise, he found the orientations were virtually identical. As a result, the geologists expanded the investigation, using a modified chain saw to drill wine-cork-sized cores out of dozens of rocks collected from 56 sites. Their contents all also had the same or very similar magnetic orientation, Meert said. Much of the basins are composed of sediments that cannot be dated using any method. 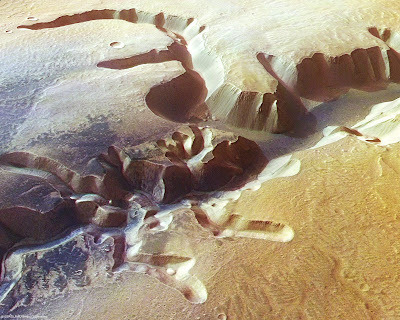 But Meert said the sediment also contains zircon, which can be dated using laser mass spectrometry – vaporizing tiny bits of the rocks with a laser, then analyzing their uranium and "daughter" lead contents to tease out their formation date based on rates of decay. All the zircon the researchers tested originated 1,020 million years ago, Meert said. Interesting. So the reason that this helps support the Snowball Earth Hypothesis is that the sediments of these basins appeared to be free of glacial evidence. This implied that the the world could not have had a SBE phase. The scientists here found evidence that the basins were created about 400 million years before the SBE period. That removes at least one of the bits of counter-evidence. If they are correct. It doesn't prove the SBEH is correct. Merely that it has less opposition. This isn't the same thing. Indeed, all this does is remove one area that was supposedly ice free from the list. For the first time, researchers have demonstrated that the administration of minute amounts of inhaled or intravenous hydrogen sulfide, or H2S – the molecule that gives rotten eggs their sulfurous stench – significantly improves survival from extreme blood loss in rats. Cell biologist Mark B. Roth, Ph.D., and colleagues in the Basic Sciences Division of Fred Hutchinson Cancer Research Center, in collaboration with surgeon Robert K. Winn, Ph.D., and colleagues at UW Medicine's Harborview Medical Center, report their findings online ahead of print in The Journal of Trauma Injury, Infection, and Critical Care. The article is slated for the July print issue, which comes out on July 10. They found that 75 percent of rats (18 of 24) given inhaled hydrogen sulfide and 67 percent of rats (eight of 12) given intravenous hydrogen sulfide survived at least two weeks – the duration of the monitoring period – after losing more than half of their blood for an extended period. In contrast, long-term survival rates for the untreated rats in the two control groups were 23 percent (three of 13) and 14 percent (one of seven), respectively. OMG THEY"RE CLOSE TO THE ZOMBIE APOCALYPSE! AAAAAAAAAAAAAAAAAAAAAAAAAAAAAAAAH! WE'RE ALL GOING TO DIE! A bit more seriously, it's interesting to see if we finally do get teh much mumbled about in SFnal terms hibernation capability...because of stinky eggs. JHL is the vertical take-off and landing candidate for the U.S. Air Force/Army Joint Future Theater Lift (JFTL) requirement.The first of three contracts to extend previous concept definition and analysis (CDA) work for another two years has been awarded, with the others to follow over the next week or two, says the Army’s Aviation Applied Technology Directorate (AATD). 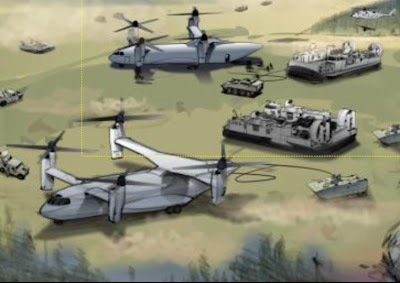 Contracts are being awarded to Bell-Boeing for the Quad Tilt Rotor, Karem Aircraft/Lockheed Martin for the Optimum Speed Tilt Rotor and Sikorsky for the coaxial-rotor X2 High Speed Lifter. The teams will update their designs to meet the new JHL model performance specification (MPS), which includes several new mission profiles that drive different aspects of the design. Previous CDA studies assumed a payload of 20 tons and a C-130-size cargo box, but growth in the weight of Army Future Combat Systems vehicles has pushed the requirement closer to 30 tons and an A400M-size cargo box. The merger of JHL with the Air Force’s Advanced Joint Air Combat System requirement under JFTL has also placed a greater emphasis on speed. Work under the CDA extensions will help decide whether JHL needs two or four engines and whether folding will be required for seabasing operations. AATD also plans to demonstrate flight control laws that could reduce airframe loads and lower empty weight. These will be tested in the Army/NASA Rascal flying laboratory, a modified UH-60 Black Hawk helicopter. The JHL has a lot of promise. It fills a role that really would help make the units much more mobile. However, I can't help but smell the bloat starting to set in. Most of the time, whenever you have a cross service or joint project costs go up much faster than a singular service's more focused projects. Also, we already are seeing requirements creep here. That's really bad. That tends to make the costs go insane. Now its very early in the project, but whoever takes over as POTUS needs to have a SecDef that sits on these projects and keeps them from going foul like so many do. So, would anyone happen to have a copy of said ancient paper?